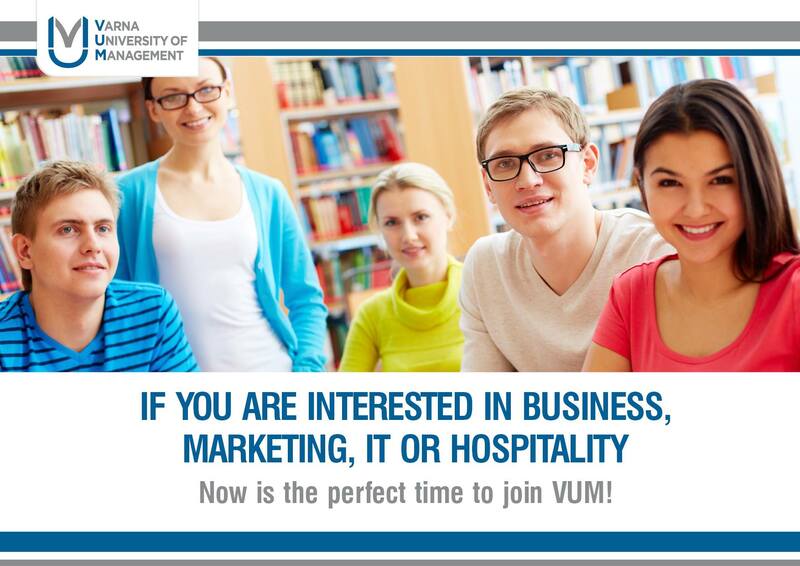 Admission days are open to anyone considering an undergraduate or postgraduate program at Varna University of Management (VUM). Each Friday for a face to face meeting/application interview at the main campus in Varna, floor 1, room number 101. Proof of English proficiency preferred but not a must (TOEFL, IELTS, SAT or equivalent English language test) or booking a date for an institutional exam. Each applicant needs to have 62% or higher out of the maximum possible grade in two general (non-local languages and non-religious) subjects, in order to be approved by the Ministry of Education / Regulation for admission of foreign students of the Ministry of Education, 09.05.2000, amended 2004/. Note to Master’s degree applicants: Together with the above-mentioned required copies of documents, a scanned copy of higher education (university) diploma with grades transcript must be provided. English language requirements: As English is the language of instruction at VUM, all the applicants must have a level of English sufficient to participate and be successful in the learning process. To prove your level of English, you need to provide us with internationally recognized English language certificate (TOEFL, SAT, IELTS, PTE, CAE, etc.) or sit for an English language test at VUM. Regarding the international students whose mother tongue is English or whose language of instruction at school was English (and are able to provide proof of that), are exempted from the English language test.